← Ms. Maven and Her Biggest Fan! Obviously craving and materialism are bad things… traps designed to hinder the soul’s progression towards shiny, shiny Ascension… but, dammit, Sarah Silverman is sorely testing me with a wave of new releases. Aside from the second instalment of SSP Season 2 DVDs, there’s also a soundtrack album for the show coming out, a Zazzle merchandise store, and an audio book in April! If I had a credit card, I’d probably have already blown my B-Day money about three times over on all this swag… eep! 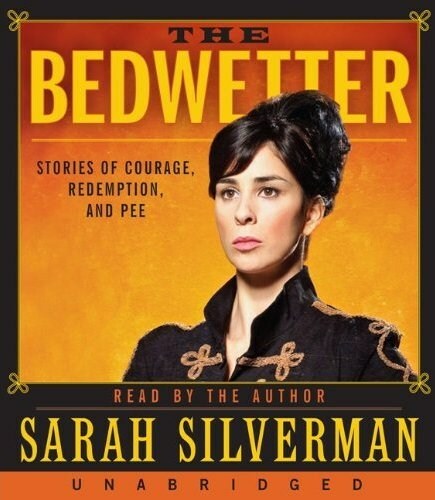 This entry was posted in Rants about Books and tagged Bedwetter, Sarah Silverman. Bookmark the permalink.